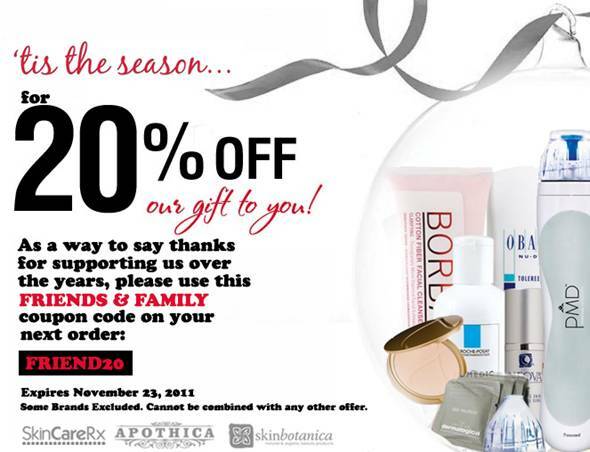 polish insomniac: Apothica, SkinCareRx and SkinBotanica F&F Sale! Another F&F Sale! Happy Shopping! 20% discount at checkout (some brands are excluded). The FRIEND20 coupon code will be good until midnight MST on Wednesday, November 23rd.